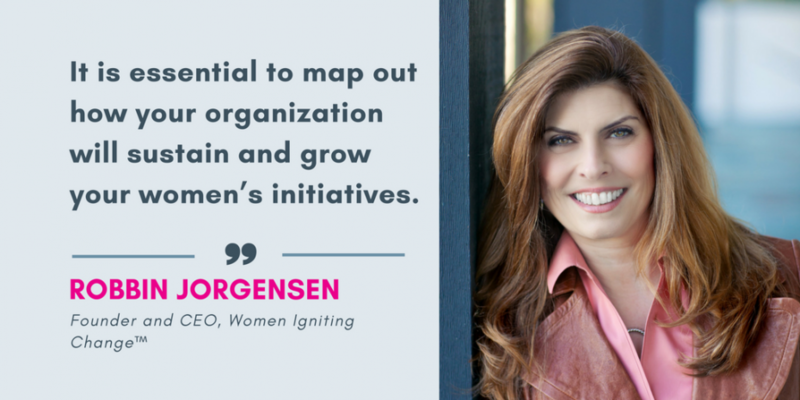 Robbin Jorgensen, CPCC, PCC, is the Founder and CEO of the Women Igniting Change™ movement, a global purpose driven organization geared toward unleashing the contribution of women around the world. Robbin is a highly successful businesswoman with 20 years experience in sales and marketing, training and business development. 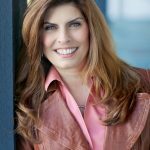 A sought after speaker for corporations and women’s empowerment groups, she works with women leaders to help create impact through executive coaching, leadership development, training programs, and speaking. Robbin is also co-founder of The IgnitedNation @Work™, a unique experiential leadership program designed to enlighten, engage and mobilize women into meaningful action within the corporate space. If you want your organization to thrive in today’s marketplace, diversity is key. While we know this intuitively, research has also proven that diverse companies significantly outperform their homogeneous competitors. Many organizations that are ready to start leveraging the potential of a diverse workforce begin by implementing and re-evaluating women’s leadership initiatives. At Women Igniting Change we work with a lot of companies who have the best of intentions. They want to implement strategies that help women in their company feel valued and engaged. They want to provide the education necessary to ensure they have a pipeline of high potential women ready to take on additional responsibilities and move into senior leadership positions. The only way to ensure the success of goals like this is to stop and evaluate what is and isn’t working, and then strategically map out a plan of action. Unfortunately, the Corporate culture is 95% reactive and 5% proactive. Leaders are so busy putting out fires that there isn’t time dedicated to proactively think through how something should be designed and implemented. What we often see are organizations that – despite doing their best to offer programming that offers real value – aren’t offering streamlined programming that connects to the bigger picture. They hire multiple outside vendors to come in and do “one off” programming, hope the value sticks, and move on to the next one. So, how do you ensure that you’re adding solid value to the women in your organization WHILE surpassing your organization’s goals in the process? By creating a solid framework. In order to have the impact that most organizations desire, they MUST take the time to implement a comprehensive, strategic women’s leadership development plan. First – it’s imperative to determine what the overall objective of the program is. What is it you’re trying to accomplish? What are the desired tangible outcomes? WHY is it important that this be achieved? How does this program align with other key corporate initiatives? Second – who should be in charge of the program? The most effective programs have key stakeholders from across the organization working together in a consistent, structured manner. Third – What does the program look like when it’s done and done well? It’s imperative that organizations take the time to complete this step. Implementing a women’s leadership initiative without tying it back to the corporate growth strategy is simply checking a box. What is the 3-5 year plan/strategy for gender diversity? The best way to achieve those goals is to look at every facet of the strategy and then reverse engineer a plan of action that begins with the women’s leadership initiative. Establishing key performance indicators (KPI’s) that measure effectiveness and offer the opportunity for course correction is critical to success. What are the elements that need to be measured? How often should check-ins occur? How should the information be communicated and to whom? How is the learning being applied back to their roles? How is that being quantified? Without sustainable benchmarks, the whole thing was just a really nice idea. Once you have a plan that works, how will you not only sustain it but help it evolve and grow? Many initiatives can fall flat if they are done the same way year after year. So, it’s essential to map out how your organization will sustain and grow your women’s initiatives. Of course, there are multiple layers underneath each one of these categories that are essential to ensure success, but starting with these four as a benchmark will guide you in the right direction.